By Hazel Chua on 01/19/15 • Leave a comment! Space comes at a price. We can’t all afford to shell out hundreds extra in rent for a bigger bathroom, but it’s fortunate gizmos like the Curvit shower curtain exist. 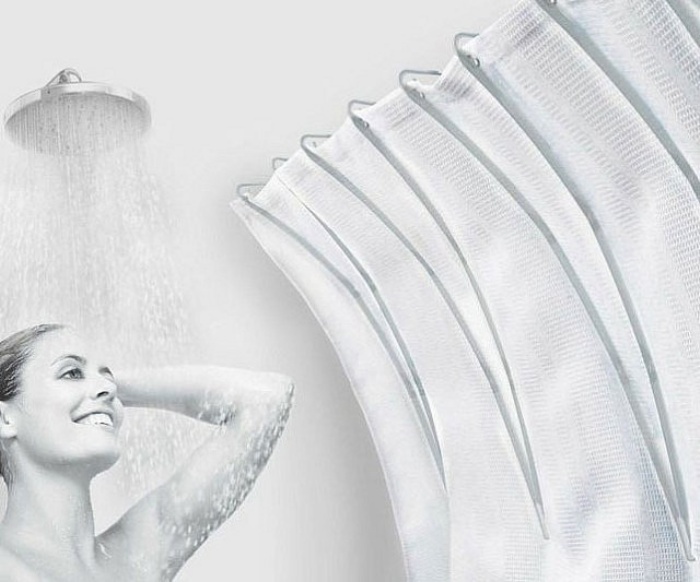 It’s a space-creating curtain ring that lets you enjoy up to 50% more space while you’re taking a bath, not by curving the rod but by curving your shower curtain. Just snap the rings onto the rod and you’re good to go. Some added benefits? It prevents leaks and closes messy gaps. The Curvit shower curtain rings are available online for $25. Outdoor toilets are commonplace, but this particular one in Warmley Waiting Room Cafe in the UK takes the cake. It’s inspired by none other than Doctor Who’s TARDIS. When the door is shut, it looks like a typucal replica of the Doctor’s time machine. But the door opens to reveal a Victorian-style bathroom, complete with checkered floor, a toilet, a sink, and a hand dryer. The bathroom, aka Doctor Loo, is outfitted with motion detection sensors which turn the lights on or off as patrons enter and exit. 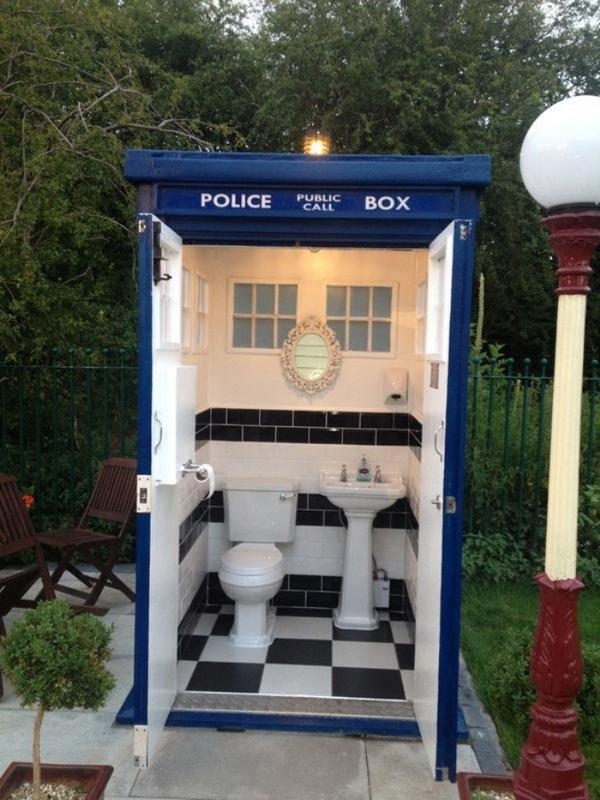 The Loo’s creator and restaurant owner Justin Hoggars has also installed a doorbell of sorts that emits the TARDIS’s familiar wheezing sound. If you happen to be in Bristol, drop by the cafe and take a poo in Doctor Loo. By Hazel Chua on 07/31/14 • Leave a comment! Done reading all of the books and comics you’ve stashed in the bathroom? 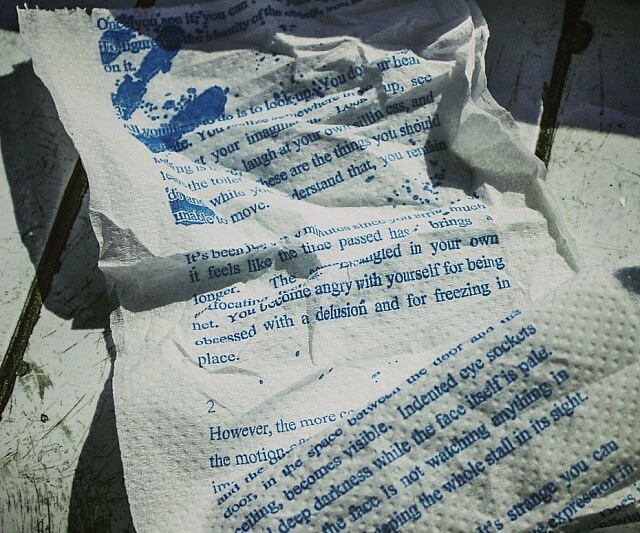 Then here’s one bathroom reader that might just literally scare the crap out of you: the Horror Story toilet paper roll. Sorry if that was a bit too graphic for you, but I just couldn’t resist. This is basically a roll of toilet paper with a scarier-than-though story printed on it. The horrific tales are penned by Koji Suzuki, who’s known for writing the “Ring” and “Spiral” series. They’re sold in sets of three, with each one featuring a different story. By Hazel Chua on 07/02/14 • Leave a comment! 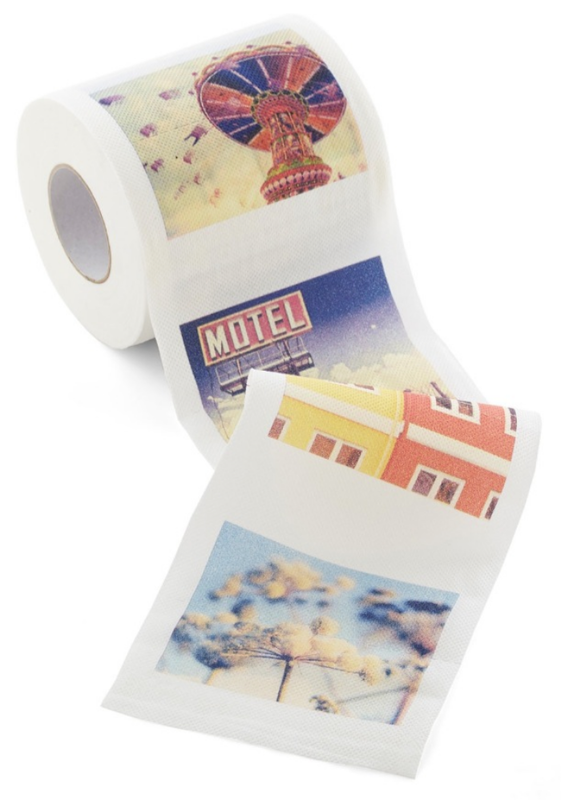 Here’s the perfect pair to the that Polaroid-inspired toilet paper holder that was so popular among fans of instant photography: the Developing Your Decor Photo Toilet Tissue paper. Each square has a vintage-looking image printed on it–kind of like the pictures you get from a Polaroid or an Instax. You probably wouldn’t use this to wipe your bottom because it might seem like such a waste, but hey, you only live once and who else can say they’ve wiped their bottoms with such a classic roll? 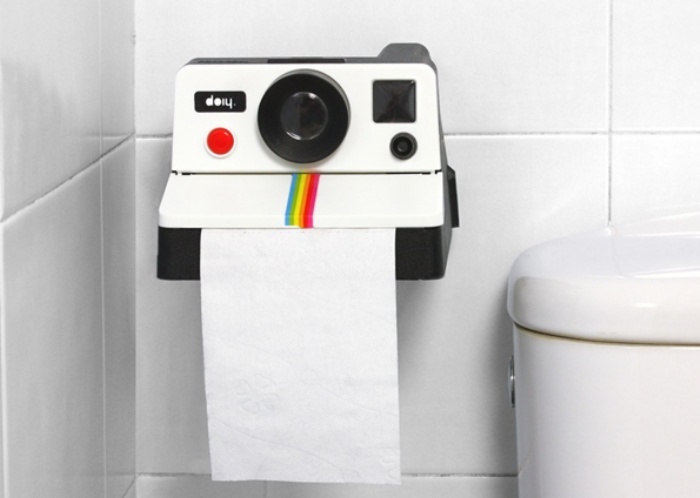 Pair it with the Polaroid Toilet Paper Holder for some instant awesomeness. So this gadget right here that looks almost like a weighing scale (oh wait, it actually also happens to be one!) could get rid of towels once and for all. 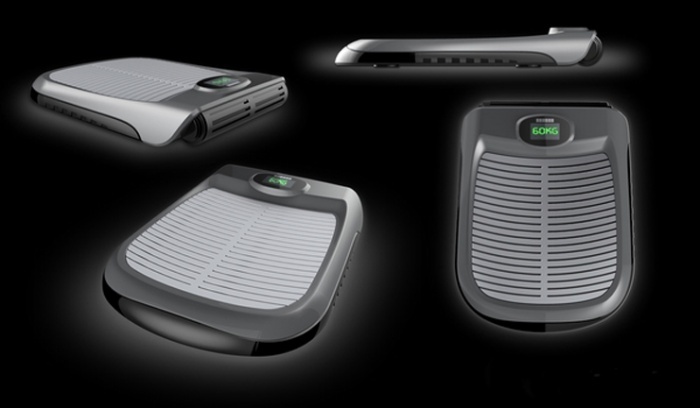 Aptly called the Body Dryer, it promises to dry you off in half a minute or less, which is way faster than you could ever dry yourself off with a towel. By Hazel Chua on 03/12/14 • Leave a comment! Music festivals and events like the Mardi Gras are all fun and games–until somebody needs to use the toilet and discovers that there’s not a public restroom in sight. Not to worry though, because Airpnp is here to save the day. 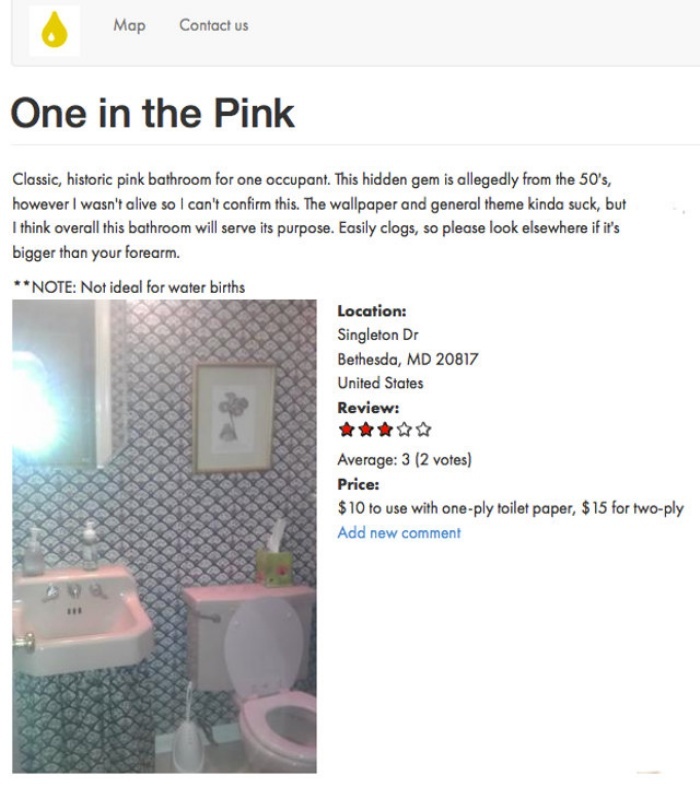 It’s an app that hooks you up with a private toilet that you can pay to use at a location near you. If you’re up for making some extra cash, then you can also log on to Airpnp and put your bathroom up for rent. Airpnp came about from the personal experiences of its founders, who are both New Orleanians who’ve gone through the pain of being unable to find a place where they can pee in peace–and legally. You can check out Airpnp HERE. By Hazel Chua on 02/04/14 • Leave a comment! 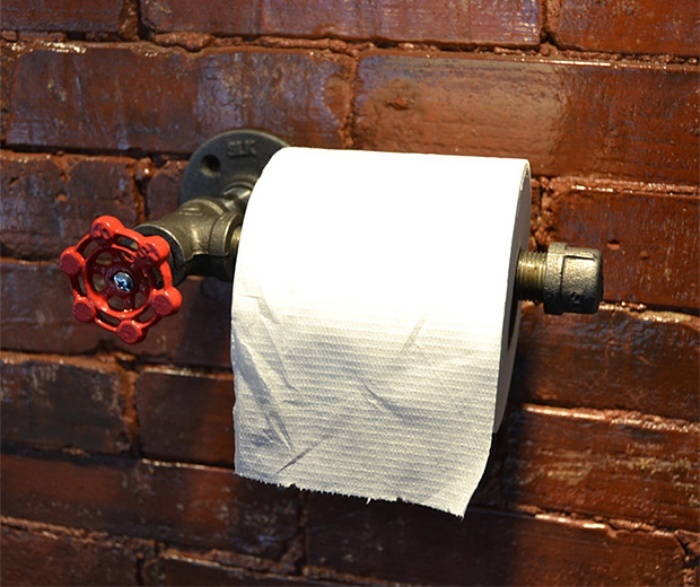 So this is probably the toughest-looking toilet paper holder you’ll ever lay your eyes on. The Industrial Steel Pipe TP holder can handle any roll of tissue you’ve got, whether it’s gold, glow-in-the-dark, or the origami kind. It can change the look and feel of your bathroom–or at least the part where it’s installed, anyway. Each Industrial toilet paper holder is made to order and retails for $28. By Hazel Chua on 11/15/13 • Leave a comment! Now you can bathe with your significant other without having to be in the same tub. Not that there’s anything wrong if you’re both in one bathtub, but sometimes things can get a little too crowded and bath bonding time might turn into tub fighting time. That won’t happen though, if you’ve got one of these Yin-Yang bathtubs in your bathroom. It’s a two-in-one tub where each person gets their own separate space to relax in, while still allowing both to bathe together. It also comes with a bunch of nifty features that will make bath time more special, such as a colorful lights and soundwave massage. The only downside? It costs $5,500. Polaroid Toilet Paper Holder: Say Cheese and Wipe! By Hazel Chua on 11/08/13 • Leave a comment! Bringing a Polaroid in the toilet while doing a number two sounds like a pretty icky thing to do. You can just imagine the hashtags you can use for the resulting images: #instaphoto #selfie #numbertwo #selfiepotty. That’s not a real camera in the image above, even though it might look like it at first glance. It’s actually a Polaroid-inspired toilet paper cover called Polaroll. With it, you can fool people and just spruce up your bathroom in general with a bit of unusual, vintage decor. Tissue can be pulled out from the slot where the pictures normally come out for some instant relief. Polaroll is available for purchase online for $28.